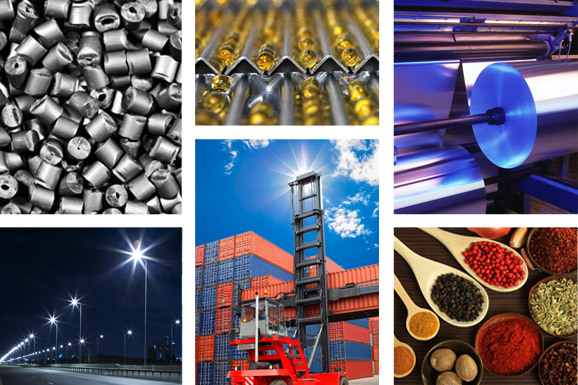 Argos International is Global Manufacturing, Trading and Marketing Company dealing in Polymers and Petrochemicals, Agricultural Products and Commodities, Lighting Solutions, Pharmaceuticals and Flexible Packaging Materials. We serve as a vital link in the supply chain process, sourcing and supplying the top quality products from all over the world for our buyers and also help our suppliers identify niche markets. We have a strong presence in India, Middle East, CIS and Russia, Africa, South America and Asia Pacific. Our office in Mumbai manages the global procurement to service these markets. Certified to meet ISO 9001:2000 standards, we adhere to stringent quality control measures at every stage of the supply process. Our ability to understand the ever changing market and constantly adapt to new business requirements enables us to live up to our name Argos, which in Greek Mythology means the Great Visionary and the God with 100 eyes. At Argos, we believe that every business association is essentially a relationship. And we work toward maintaining long-lasting relationships. Our Group's credo of ‘No Compromise’ permeates our business commitments, encouraging high standards of excellence and ethics. This in turn leads to superior quality products and services, resulting in maximum customer satisfaction. Our Vision: To be the company of choice in all the chosen industry verticals for our world-class customers. Our Mission: To become a world class marketing and distribution company with excellent supply chain management, adding value to customers - suppliers - business associates - employees, serving an ever augmenting base of fully satisfied customer through a well spread global networking. For your needs, we make the world your market. Our supply chain management business acts as a single-point contact, sourcing and supplying products globally as per customer requirements. Supporting these endeavors is our logistics support that includes a wide network and well developed infrastructure in India and abroad. Our reach encompasses: Argentina, Bangladesh, Brazil, China, CIS, Ethiopia, Hong Kong Indonesia, Kenya, Korea, Malaysia, Myanmar, Malawi, Nigeria, Philippines, Russia, Singapore, Sultanate of Oman, Sri Lanka, Taiwan, Tanzania, Thailand, UAE, Uganda, and Yemen.